Here's how New Orleans is celebrating Passover. Learn more here. The Jewish Federation of Greater New Orleans and the ADL South Central Region are horrified by the Easter morning terror attacks across Sri Lanka, in which coordinated bombings, including suicide bombings, ripped through churches, hotels, a banquet hall, and a highway flyover in the cities of Colombo, Negombo and Batticaloa. Three churches were targeted as worshippers gathered to mark Easter—we are heartbroken and angered, as a place of worship should always be a place of peace and welcome. We pray for the victims and their loved ones, and for the recovery of all those injured. As with Charleston, Christchurch and Pittsburgh, we are sickened by the violent impact of intolerant rhetoric and hate. We send our condolences to all in Sri Lanka, with a special prayer this Passover and Paschal season for peace and solidarity. 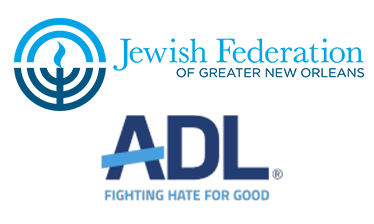 The Jewish Federation of Greater New Orleans and the ADL South Central Region stand in solidarity with St. Mary Baptist Church in Port Barre, LA, and Greater Union Baptist Church and Mt. Pleasant Baptist Church, both in Opelousas, LA, in the aftermath of the horrific fires that destroyed their buildings. We also commend law enforcement for its swift apprehension of the alleged perpetrator of the arsons, and await more information as the investigation proceeds. We appreciate the continued efforts of law enforcement to ensure the safety and security of other religious institutions in those communities throughout the state. That the alleged perpetrator appears to have singled out African-American churches specifically is deeply troubling, and certainly no house of worship should ever be targeted for violence. 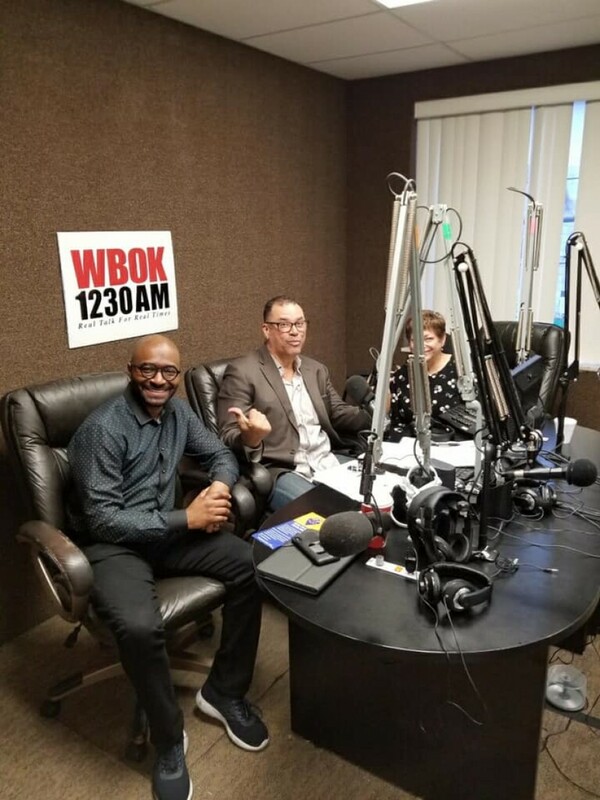 In October, the Federation launched a partnership with WBOK 1230AM to highlight and explore African-American/Jewish relations, with a show co-hosted by Oliver Thomas and Lynne Wasserman. On April 9, 2019, Pastor Chris Harris from Bright Star Community Outreach in Chicago joined to discuss urban violence and a multifaith community response. On Tuesday, April 9, the 2019 Jewish Federation of Greater New Orleans HBCU Speaker Series: Presented by Morris Bart launched at Xavier University of Louisiana. The program featured remarks from Pastor Chris Harris of Bright Star Community Outreach in Chicago, who discussed African-American/Jewish relations, as well as urban violence and the model of NATAL - the Israel Trauma Center for Victims of Terror and War - and how he is applying it to train faith leaders and mental health professionals as counselors to provide violence prevention services in inner-city communities in the United States. This event marked the launch of a three-part series aimed at connecting the Jewish and African-American communities in the Greater New Orleans area on relevant topics of mutual interest. The past, present, and future of the Jewish/African-American relationship will be explored by different national and local experts, with the goal of engaging both Jews and African-Americans in the region. Future events will be held at Dillard University and Southern University at New Orleans in the fall. Check out Pastor Harris' full remarks below. The kickoff of the HBCU Speaker Series: Presented by Morris Bart, with Pastor Chris Harris. We wanted to share an update about the work of the Jewish Federation - work that would not have been possible without your generous support. 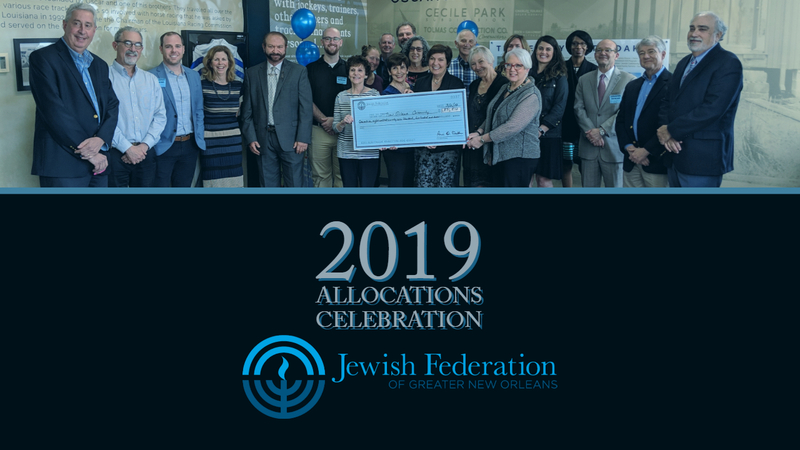 Your donations to the 2018 Annual Celebration have been formally donated to all of our incredible community partner organizations - and on Monday, March 11, representatives from each of these organizations joined the Federation to celebrate in the Oscar J. Tolmas L'dor V'dor Lobby at the Goldring-Woldenberg Jewish Community Campus in Metairie. If you haven't had a chance to watch our Facebook Live streamed video from the event, you can click the image to the right to view it - and you'll learn about the important work of our community agencies. It's because of your generosity that we're able to reach so many lives. 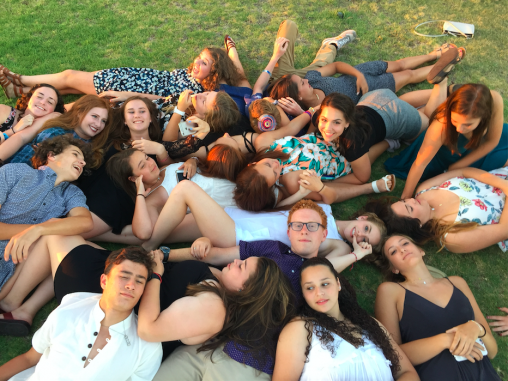 Your gift to the Jewish Federation Annual Campaign makes the work of our partners possible, from providing summer camp scholarships to offering chessed (loving-kindness) to homebound seniors. What did you do after school? 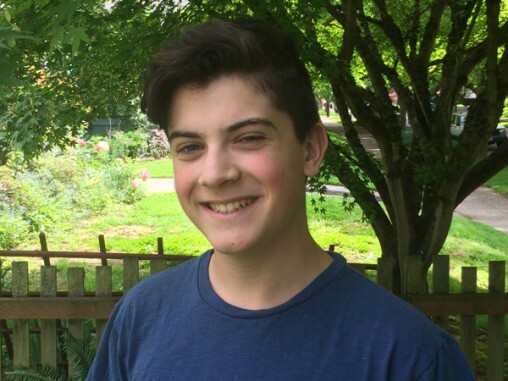 In his spare time, this Jewish day school student volunteers to combine his love of music with his love of helping people to transport residents at his local Federation-supported Jewish nursing home suffering dementia back to the glory days of their youth. 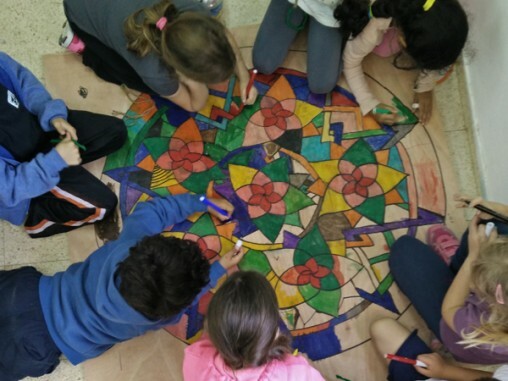 A trip to Israel is one of the most important formative experiences in your child's Jewish development - and the Edie and Paul Rosenblum Gift of Israel Program can unlock this experience. Together with the the Jewish Federation of Greater New Orleans and area synagogues, your child's Israel experience is closer than you realize. We are deeply saddened to share the news of the death of Louis Rippner, a past Federation President. Our thoughts are with his wife, Carol, his son, Billy (Janie) Rippner, and his daughters, Laurie (Richard) Milani and Cindy (Brad) Kurtz, as well as his grandchildren and great-grandchild.